Pioneers in the industry, we offer laboratory concrete mixer, laboratory concrete pan mixer and laboratory pan mixer from India. We are an experienced organization engaged in manufacturing of Laboratory Concrete Mixer Machine in different capacities. This product range is manufactured at our state-of-art production unit by using sophisticated machines and premium quality raw materials. At our sound infrastructure, we manufacture the offered refractory pan mixers by making use of optimum quality raw material, sourced from the vendors of high prestige while keeping in mind the internationally followed quality norms. 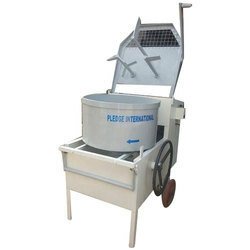 We are engaged manufacturer and exporter of Laboratory Concrete Pan Mixer. 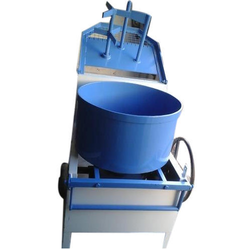 It is also called Pan Mixture is used for Testing Lab in Concrete Mixing, Casteable Mixing, Granular Mixing, Ramming Mass Mixing, Concrete Pan Mixer, Refractory Pan Mixer, Precast Mixer. Resistant to corrosion and durable in its characteristics, it is widely considered among the clientele, we hold. 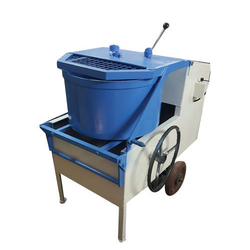 Pledge International offers Laboratory Pan Mixer has been designed for mixing small quantities of concrete used in preparation of concrete cubes, for testing in laboratories.